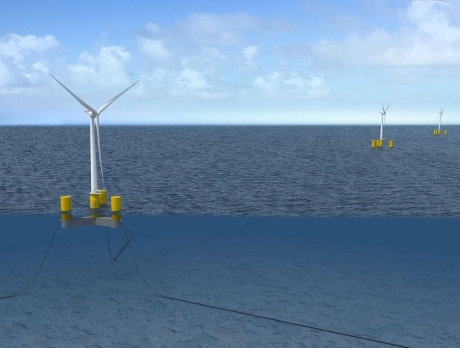 Latest design approval granted to DCNS Energies' foundation for floating offshore wind turbines (FOWTs) is validation for upcoming projects in France, the USA and beyond. Neuilly-sur-Seine, France, June 13, 2017 - Bureau Veritas has issued a Preliminary Design Approval for a Floating Offshore Wind Turbine (FOWT) foundation designed by DCNS Energies. The floating foundation is based on a semi-submersible floater, designed to be competitive, adapted to mass production, easily towable, connectable and dis-connectable, and adaptable to site conditions & local industrial environments. This approval was provided as part of the General Electric (ex-Alstom) and DCNS Energies Sea Reed project, a FOWT product development initiative supported by ADEME, the French Environment and Energy Management Agency. Matthieu de Tugny, COO, Senior Vice-President and Head of Offshore, Bureau Veritas, commented, "We are seeing increasing interest in FOWT technology as demand for wind power increases. FOWTs, fabricated onshore, can be installed in deep water and variable seafloor topographies. 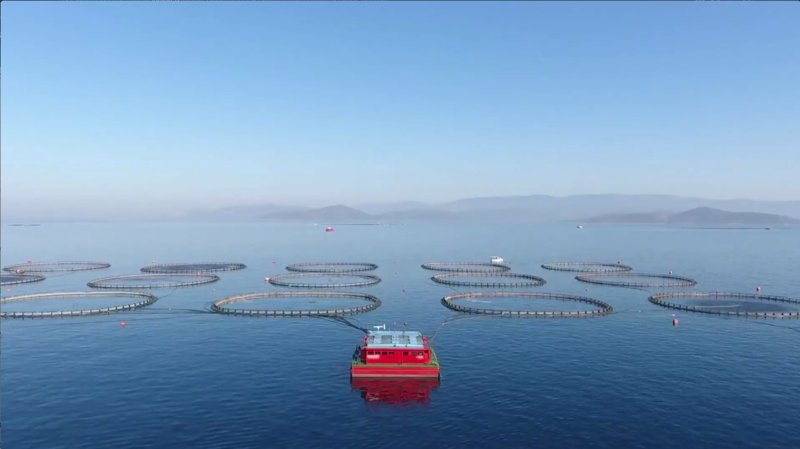 Because of their low environmental impact during installation and application in deeper waters, we can see that demand for FOWTs will grow. " A Preliminary Design Approval for Bureau Veritas implies that the Basis of Design has been approved. The design is feasible, achievable, and contains no technological show-stoppers that may prevent the design from being matured. Bureau Veritas engineers verified design methodologies, covering hydrodynamics, structure, stability and electricity. They also checked that the design is deemed to be suitable for use in all phases of operation including in-transit to field, installation and commissioning as well as providing recommendations through subsequent phases of the project. Thierry Kalanquin, Chief Executive Officer, DCNS Energies, commented, "The approval by Bureau Veritas of our latest foundation design is a step forward towards the development of our global industrial and integrated FOWT solutions. This certification granted by an independent and reputable international certification agency proves the maturity and seriousness of our solution. It also validates our system in the short-term for our ongoing projects, in France and in the United States but also in the mid and long term for our future commercial farms projects all around the world." Cooperation between Bureau Veritas and DCNS Energies in the floating offshore wind sector will continue to grow with floating wind project planned to be deployed between the Groix & Belle-Ile Islands. The array will comprise four 6MW GE Haliade turbines, installed on a hybrid version (steel & concrete) of DCNS Energies floating foundations. Bureau Veritas has been awarded, for the entire project, certification of the floating wind array covering the different phases: site conditions assessment, design evaluation, manufacturing, transportation and commissioning surveillance. The units are expected to be operational in 2020.